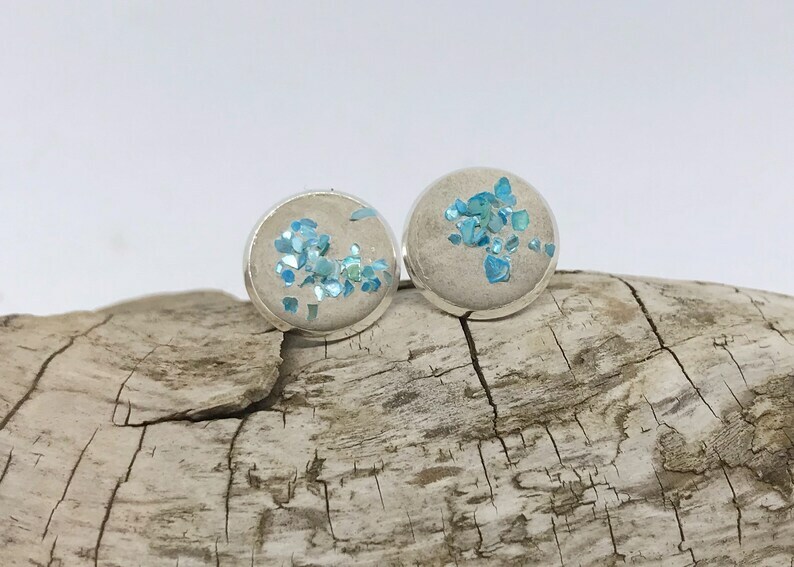 Gorgeous concrete stud earrings with blue Flakes. Pleasantly light when Wearing. A real Eye-catcher. All concrete jewelry is poured by Hand and is therefore Unique Pieces that can vary Minimally. Studs " I 'm blonde .. "